How to Train your Psychic Abilities: As children we are taught to ignore intuition, so we let our psychic potential disappear. We can however strengthen them again and learn how to fine tune them. Most of us are taught to analyze things and situations rather than trust our intuition. Trusting what you feel is an essential first step to hearing and learning how to decipher those intuitive impulses. Once we get our thinking too involved it tends to end up a tangle. The root word of “psychic” means “soul.” Psychic abilities are really soul abilities. These gifts and talents differ only in the label you apply to them, in how they are used, and what for. No one way is the best. Some people hear, some feel, some see but each unique ability is just as important as any other. And we all have these abilities. Often people dont awaken them again until they are older after shutting down in later childhood. But they were still there. its like a radio. get on the right frequency and you will receive. A relaxed and peaceful space is very helpful. Often when we most could use the knowledge during stressful times it seems to leave us. But its really that we can not “hear” it as our minds are so busy that we have interference in our channel. The more stressful the more thinking generally occurs. Turn everything off. Phones, radios, children ( just kidding) but try and find a quite time and space to just be peaceful. Nature is a great place as its calming and makes us feel good. From a peaceful space you will find it much easier to practice how to Train your Psychic Senses. Most of us have watched scary movies about the supernatural and ghosts. Yet in reality most spirits just want to talk. All the Hollywood drama is not necessary. I have met one or two angry spirits who once listened to were quite happy to move on. Well sometimes you have to make them see how much happier they will be. Tarot cards, Angel cards or runes or any divination tools which resonates with you. See what you feel before checking in the book and you will build an intuitive relationship with them. Choose one a day and put it up somewhere so you can keep glancing at it. This way you will learn all of them thoroughly . 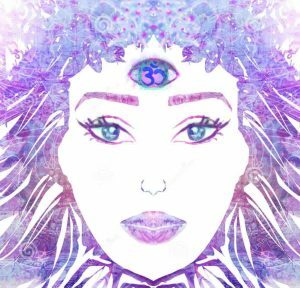 Your third eye chakra is the main intuitive and clairvoyant chakra. Crystals which are blue or close to blue are best,. The third eye vibrates at the colour blues vibration and some stones enhance this. I am a great fan of lapis lazuli personally. Friends are great as they can let you hold a piece of jewelry or go to an Op Shop and pick up something with history. Imagine yourself in various places you have not visited and then after the viewing go and have a look to see if you were correct. So stick to places you can access easily. Try not to get discouraged and make it enjoyable. Its like anything the more you do it the easier it becomes. This makes it much easier as you have others to practice with and you can give each other feedback. Don’t let frustration or failures make you stop. Be realistic. You can’t expect to practice for a few days, then be able to predict everything. Psychic abilities, even for those who have developed them to a high degree, can be unpredictable. The trick is to learn to know when its working and that is usually by a strong feeling which is present during the thought. Its a knowing rather than a thinking process.